The final stage is the pollen collection chamber. Pollen collects over time and can be then made into very special herbal concoctions using a pollen press. Use the included Space Case scraper triangle to help remove material caught in the screen or crevices. The approximate external diameter is 3 1/2 inches with an approximate height of 2 3/4 inches. 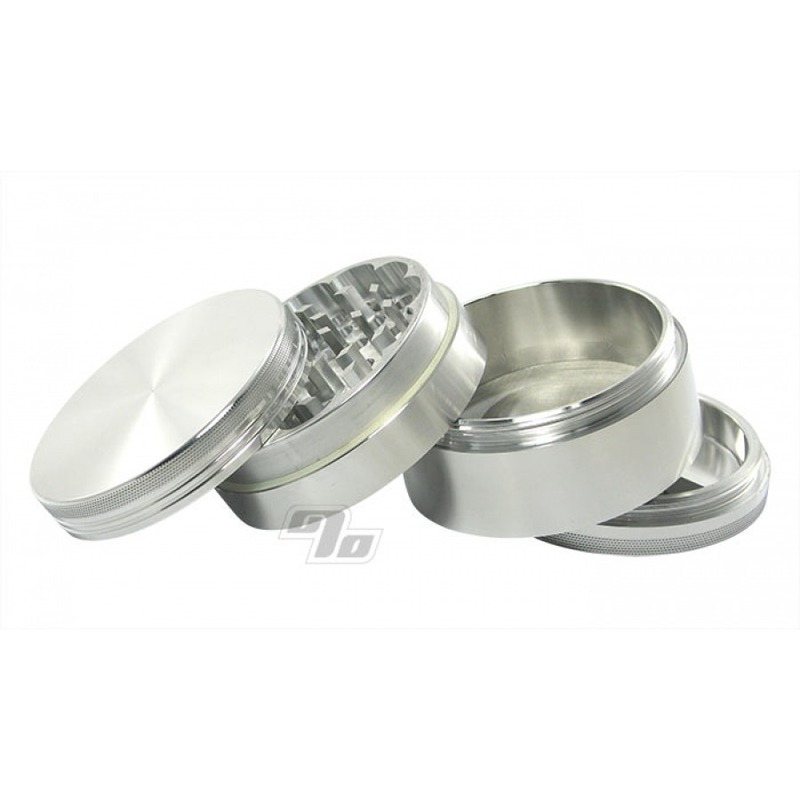 This is as big as it gets and can grind up, store and sift a substantial quantity at one time. 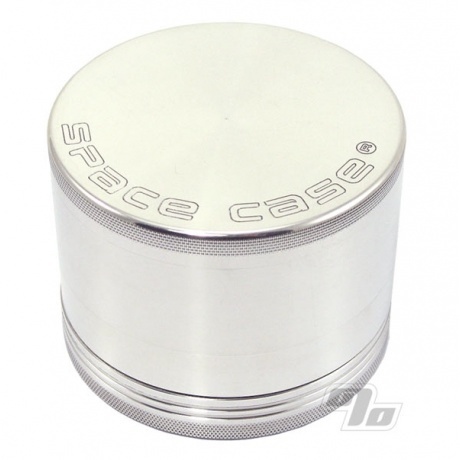 Genuine SpaceCase Grinder Sifters are Made in the USA from the finest materials and finished to perfection. They may cost a little more but they're so good they're Guaranteed for Life; No Questions asked (if real)! Be careful of the cheap knock-offs. This grinder can't be beat. Not only is it effective, but it's a beautiful piece of craftsmanship. I had one engraved to personalize it for my boyfriend and he is the envy of all his buds! 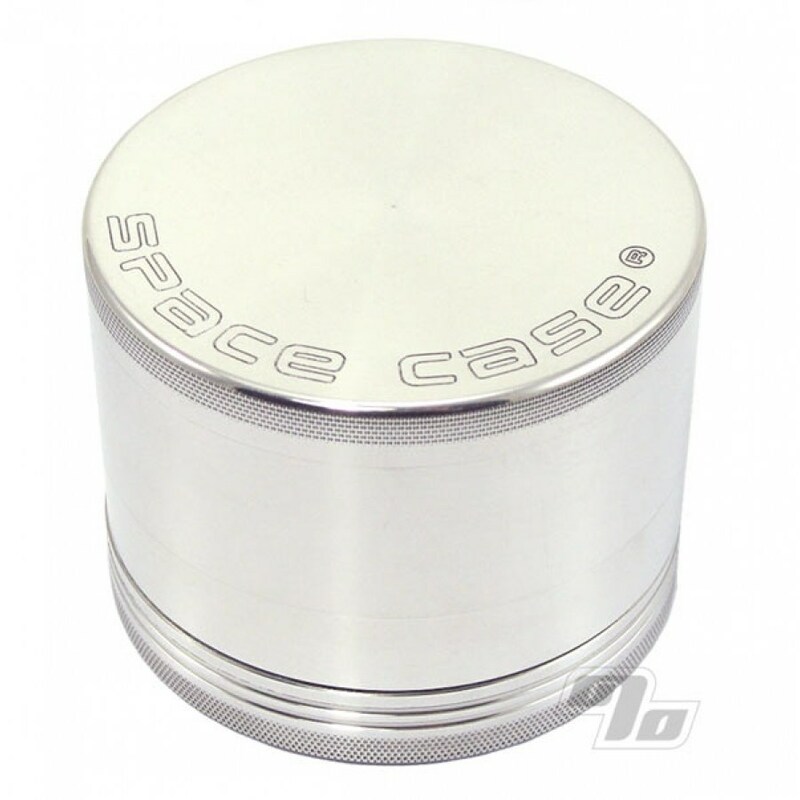 There's no question that you need a larger grinder than you think you do. Once you try a superkiller grinder like this, the other smaller ones seem puny and hard to deal with. It really does make things so much nicer. The difference between the titanium and plain aluminum is the titanium will NEVER feel sticky, while the aluminum one will eventually start to get tacky. I've used my titanium one daily for a year and it looks and feels brand new.